Once the paint starts to deteriorate, the porch can become unsightly. During the warmer months, a front or back porch can be a place to enjoy cookouts, relaxation or a social gathering. If applied properly, the paint on a porch can last approximately five years, but once the paint starts to chip or flake off, the porch becomes unsightly. 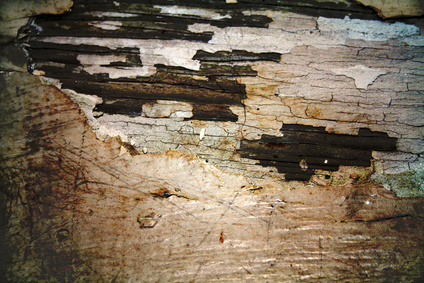 If it is time for a new paint job, there are a number of ways to strip away the old paint. This will require a lot of physical work but the end result is well worth it. Remove the old paint off the porch by using a paint scraper. Make sure you apply even pressure and scrape in one direction only. Use a power washer to remove any excess paint that could not be removed with the paint scraper. Hold the spray tip 8 inches away from your porch surface, spraying in a horizontal or downward motion. Use a power sander to ensure that the wood is even and smooth. A sander will also remove a few odd flakes of old paint here and there. If you don't have a power sander you can sand the porch by hand, but it will require a lot of arm work and will take much longer to do the job. Make sure you use a safety mask while sanding to prevent any inhalation of dust. Wash the porch. This can be done by using a mild detergent and water. This mixture will remove any grease or other unwanted substance. Before washing the porch, check for any obvious mildew. If you notice any use a mixture of bleach and water instead. Allow the porch to dry for three to five days before applying new paint or primer.